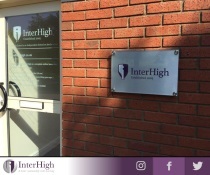 Highclare School provides a high standard of education, based on traditional values, yet equipping its students for life in the 21st Century. It is ideally situated for public transport, or travel by school bus to the north of Birmingham. Hydesville Tower School is a non-selective independent school in Walsall for boys and girls aged 3-16 years. High aspirations, hard work and traditional values are the foundation upon which our academic success has been built. Exceptionally well-behaved and engaging pupils are testament to the high level of pastoral care and expectations of staff. Ours is an exceptional school with an inspiring history, stunning setting and ambitious plans. o Specialist department for dyslexia, dyspraxia and dyscalculia. King's Hawford is a junior school with a Kindergarten for children aged 2 to 11. Hawford Lodge was established as a Prep School in 1955, occupying a Georgian House adjacent to a farm site. It is now a thriving and popular junior school, part of The King's Foundation, providing high quality educational provision with a strong emphasis on outdoor learning opportunities. King's St Alban's school, in the heart of Worcester, is a Pre-Prepatory and Junior school for boys and girls aged 4-11. The facility is located next to the main King's senior school and Worcester cathedral, on the banks of the River Severn. King's St Alban's provides Primary education for girls and boys and although an inner-city school, has a recently refurbished, enclosed, outdoor playing area, offering children a range of environments for both, playing and learning. The school has a key focus on, not only academic performance but encourages students to excel in sport, music and art. King's St Albans have extensive playing fields, AstroTurf pitches and a sports hall as well as a 25 metre swimming pool. All children in reception to year two have weekly swimming lessons and from year 3 all children are given the opportunity to participate in inter-school fixtures. Why not come and experience King's St Alban's for yourself and see if the school is the right fit for your son or daughter. Either call King's St Alban's and speak to Louise Robin, our registrar on 01905 354906 to book a visit or email: lrobins@ksw.org.uk. We look forward to meeting you. Malvern College is in a beautiful location set at the foot of the magnificent Malvern Hills. It is situated in rural Worcestershire, yet within easy reach of the motorway network and international airports. Norfolk House School, is a co-educational Independent school in Birmingham with pupils between the ages of 3 and 11. Small class sizes allow close personal attention for all pupils. This approach is reflected in our excellent exam results and our focus upon academic excellence for 11+ success. The senior school has one of the finest settings of any city school in the country. It borders the River Severn in the heart of Worcester and looks across to the Malvern Hills. Located adjacent to the Cathedral in an oasis of calm, away from the sound and sight of traffic, and yet two minutes' walk from the pedestrianised city centre and within easy walking distance of train and bus stations. King's senior school aims to provide an exceptional educational experience looking after both the educational and pastoral needs of each individual child, aiming to help each pupil to achieve their best academically and instilling confidence in a changing world.